A Trine University professor used innovative teaching methods and reported on her results as part of a study. 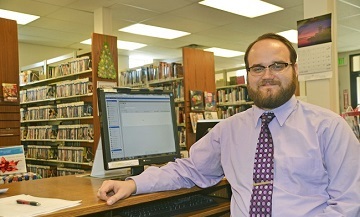 A Trine University graduate is overseeing the new Markle Branch building of the Huntington City-Township Public Library. 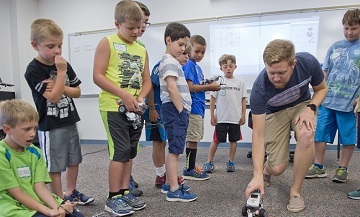 Children will participate in LEGO robotics camps at Trine University this week and next. A professional association and INDOT are partnering with Trine on a certification program. Trine University will welcome students, parents and others from July 18-22 as part of Private College Week 2016. Trine University's Graduate School fall semester registration is currently underway. A Trine University professor was part of a group that was presented the Best Paper Award at a regional conference. A Trine University alumna recently became principal of Pleasant Lake Elementary School. Current and former members of the Trine University community will take part in the Bicentennial Torch Relay. Catherine Swick, Ph.D., has been named associate dean for the Rinker-Ross School of Health Sciences.